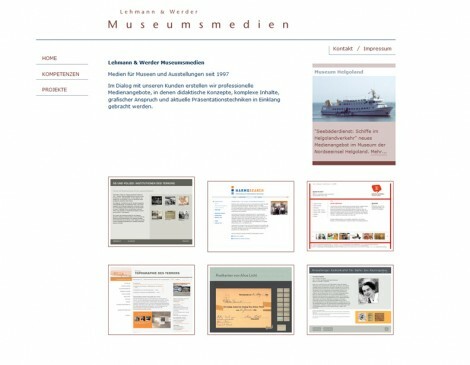 Museumsmedien – a German agency- is supporting cultural heritage institutions in promoting their services with competence in multimedia and web technology and maintain their portals und data hosts, including the meta-portal euromuse.net, which is brought to the market with co-funding from the European Commission. The museums joining euromuse.net, or any other online information service in the cultural heritage sector, are in a similar situation like the tourism players, but even worse with respect to resource for activities on the electronic market. While tourism has a long lasting history in the use of information and communication technologies, this is not true for cultural heritage. They are much more in demand for easy and cost-effective ways to join the online business. This project would bring Museumsmedien in the position to offer their clients tools and support to connect with the online world and also with the tourism sector. Museumsmedien develops solutions comprising didactic concepts, complex content, demanding designs and state-of-the-art technology. Museumsmedien has also developed terminal applications and deployed “audio stations” for oral history interviews, and offers training activities in the area of cultural heritage and multi media technology.